It is Wednesday at the Beau Rivage Casino and hotel in Biloxi Mississippi and seniors (+50) get to enjoy breakfast and lunch buffet meals at half price. The Breakfast Buffet Beau Rivage special is for the month of January and may continue in other months. The number of items available were plentiful, the quality was excellent as was the service. At a price of $12.99 normally, it is even more of a good deal when you are eating for half of that price. We enjoyed almond nut pancakes, fluffy biscuits, slices of ham, eggs done any way you want them and of course orange juice and coffee. There were lots of other items available, but you can only eat so much and these items were our choices. It was also busy, but not so crowded that it was uncomfortable. We only waited in line about 5 minutes and sat in a booth that was both private yet easy to get to the buffet. If you are in Biloxi, this is a breakfast you should not miss. Lunch might have been a bit busier, however we did not see long lines of people waiting. They have a large restaurant and can accommodate a large number of people. For more details about Biloxi, Mississippi, click here. The 50s style 24 / 7 restaurant at the Hard rock Casino Biloxi Mississippi was closed on Monday morning. We like to go to this restaurant for breakfast as part of our tradition when we go to Biloxi. The Hard Rock Cafe closed the 24 / 7 restaurant and refers customers to the satisfaction buffet. You can order the buffet or order from the menu. However the price for the buffet and the menu items are about the same price which causes most customers to just take the buffet since the price includes all of your drinks including juice and coffee for the same price. A bit of a scam if you ask me. In addition the actual buffet is not really that great. There are not many menu items available and the food is just average. Many competitors have extensive number of items to choose from including a chef who will cook your eggs to your personal satisfaction. We would not suggest that you eat at this location during off season. Perhaps the Hard rock Casino Biloxi Mississippi opens the buffet during the high season when there are a lot more people around. We also noticed that the casino was not really that busy either. Even though they looked like they could use more customers, rates for the rooms were still very high and did not tempt us to stay at this location. The Beau Rivage casino in Biloxi Mississippi is one of the best seafood buffets available. On Friday night, for the price of $30, you can experience an all-you-can-eat seafood buffet plus wine at your table. This includes a Crab leg buffet at Beau Rivage as well. 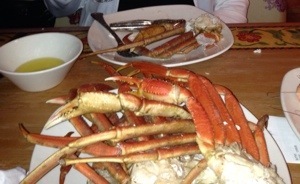 The picture above shows crab legs that are available at the seafood buffet on Friday night. In addition you can have shrimp, salmon, fried catfish, and an assortment of other seafoods. In addition there are all of the other usual foods you would find at a buffet of this class. From prime rib, to turkey, pizza, Chinese food etc. along with the deserts this is a great buffet and good value for your money. 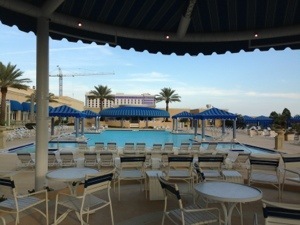 Located in Biloxi Mississippi, at the end of interstate 110, along the ocean, the Beau Rivage is a five star hotel and is one of the best hotels in Biloxi and we can recommend this hotel and restaurants from personal experience. There is ample free parking in the covered garage. It is also within walking distance of this particular hotel and easy walking distance to the beach. For anything else you pretty much need your car to visit other activities in Biloxi. One of those activities that we recommend is a visit to the Shed barbecue restaurant. If you enjoy delicious fall off the bone barbecued ribs, then this is the place to go. We have reviewed this particular restaurant in another post on this blog and provide instructions and information about this particular barbecue spot. 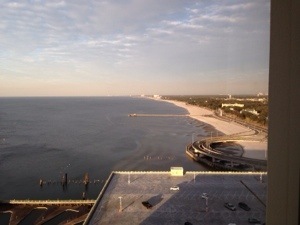 We are in Biloxi Mississippi. I have attached a few pictures. The first picture is the view from our room looking out on the golf of Mexico taken from the Beau Rivage casino on the 23rd floor. The next couple of pictures are from a place we just went for lunch. The Shed Barbecue Ocean Springs. 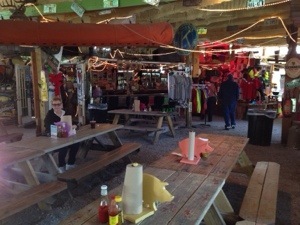 The Shed is a barbecue place out on one of the bayous. It is really rustic and has knickknacks from all over the place. The Shed has been burned down and been flooded by the hurricanes, but it still is in business and they have absolutely the best ribs we’ve ever tasted. It is one of those places that you have to hear about from the locals or see it on TV. It is not a place that you would just drop into without knowing something about it first.It may scare away people unless you hear about it from a third party. We ended up at the Shed because we saw it on the Food Channel. The owner / chef was interviewed complete with tattoos. If it was not for this show we would never have known about the place. We certainly would not have gone there unless it had been recommended. We have met people who make it a pilgrimage every time they are in the area. It is one of the best barbecue places we have been too. This picture shows the bayou. Nearby is a large raft you can book for an evenings barbecue on the bayou. We have not done this. We think it would be quite special to spend an evening eating ribs and enjoying the scenery as well as animal life. The Shed – Mississippi Barbecue is a barbecue restaurant, located on Highway 57 just outside of Ocean Springs, Mississippi. This is one of the best barbecue restaurants we have ever been to. We enjoyed lunch and enjoyed a two meat combo with ribs and pulled pork. It was the best tasting meal we have ever had. Decorated with an eclectic mix of antiques and pieces obtained from various garage sales, a tin roof and barn board walls with a gravel floor this is a really different restaurant than what you might normally go to. They play blues music over the loudspeaker’s during the day and have live music in the evenings. We were there for lunch on a cool day and it was relatively quiet. We spoke to the cook who assured us that this is a lively place in the evenings. 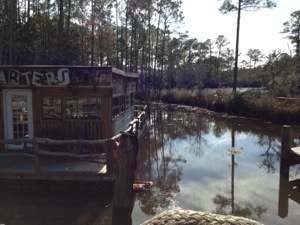 There’s a local bayou right behind the shed where you can take boat rides and enjoy the scenery of rural Mississippi. We also spoke to two regulars, who come to the shed every chance they can. They think that the food is absolutely fantastic and should be enjoyed by everyone. This is not a place that you would drive past and say hey I think I should go there. It is just not one of those places. But we can confirm that it as the best barbecue ribs we have ever had. We have not been to an IHOP restaurant in a long time, however we decided to try one in Biloxi Mississippi. We were very disappointed due to the cold breakfast at IHOP Biloxi Mississippi. This was an IHOP located along the Gulf Coast road that runs along the water past all of the casinos. The restaurant was crowded and busy and we expected good service and good food based on the reputation and also the fact that there was lots of people in the restaurant. the amount of food was good for the value however the side order of toast was cold and pancakes although unlimited were also cool. The butter would not even melt on either the toast or the pancakes. When we asked the waitress about this problem, she volunteered to get us a new order. However we noticed that all of the other patrons were having the same issue. No one seemed to be complaining so we told her not to bother. We filled in the survey to communicate our thoughts about the issue. We wanted to let them know that this was not a good experience. 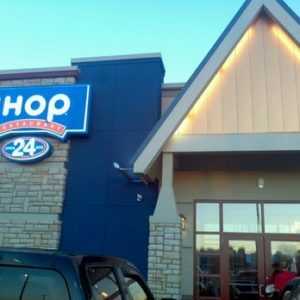 In addition we filled out this blog entry to let other readers know about IHOP and its poor service. Can you imagine being at this pool? Overlooking the Golf of Mexico and enjoying the sun! This is a great place to spend an afternoon, soaking up some rays and enjoying the water. This pool is on the third floor of the hotel with a large gym to work out in as well overlooking the pool area. There is a bar and restaurant at the pool area. During busy times this bar is hopping. On this particular day it was overcast a bit and cool. It was January and what would you expect. Still there were people sun tanning and taking the occasional swim even if it was January. The treadmills in the gym even have their own personal TV for each machine. The service is great, the food is excellent and the portions are large. 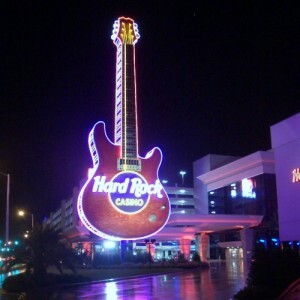 The rates are also reasonable as well and you can walk to the Hardrock Casino which is just two blocks away if you are looking for something different. The Gym is also on the 3rd floor and looks onto the pool area. There are free towels and there is no charge to use the gym. We enjoy staying at this hotel and will come back again. For more details about Biloxi, Mississippi, click here.